(Yoko Ono) has spent a significant portion of the last decade curating her own musical legacy in a climate far more accepting of her work than the one in which most of it was made. Why See Breathe Watch Listen Touch - The Music of Yoko Ono? For one special evening only, a host of talented female performance artists and musicians including former Dirty Projectors vocalist Amber Coffman, artist and activist Madame Ghandi, Garbage frontwoman Shirley Manson, spoken word poet Kamil Oshundara and Grammy nominated R&B trio We Are King amongst others, come together to celebrate the life and perform the legacy of Yoko Ono. For over 60 years, the multimedia artist and music maker has pushed the boundaries with her avant-garde works in a storied career that exists wholly apart from her affiliation with her late husband John Lennon and The Beatles. 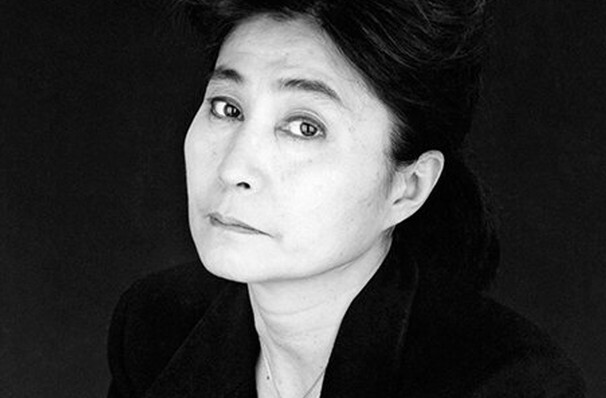 Classically trained in vocals and piano during her childhood, Yoko Ono survived the bombings of Tokyo and moved to New York with her family in 1945 where she me the poets, artists and bohemians that would inspire her artistic path. Her involvement with the downtown arts scene under the mentorship of the likes of John Cage and LaMonte Young would see the production of works including 'Painting To Hammer A Nail', experimental film 'No. 4' and 'Cut Piece' the 1964 performance where she sat motionless on stage at Carnegie Hall whilst stunned audiences were allowed to cut clothes from her. Sound good to you? 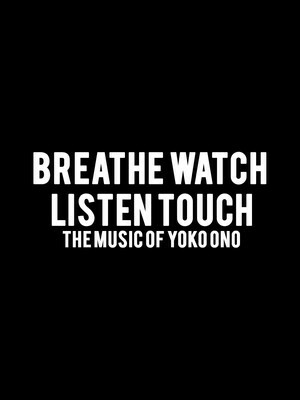 Share this page on social media and let your friends know about Breathe Watch Listen Touch - The Music of Yoko Ono at Walt Disney Concert Hall. Please note: The term Walt Disney Concert Hall and/or Breathe Watch Listen Touch - The Music of Yoko Ono as well as all associated graphics, logos, and/or other trademarks, tradenames or copyrights are the property of the Walt Disney Concert Hall and/or Breathe Watch Listen Touch - The Music of Yoko Ono and are used herein for factual descriptive purposes only. We are in no way associated with or authorized by the Walt Disney Concert Hall and/or Breathe Watch Listen Touch - The Music of Yoko Ono and neither that entity nor any of its affiliates have licensed or endorsed us to sell tickets, goods and or services in conjunction with their events.